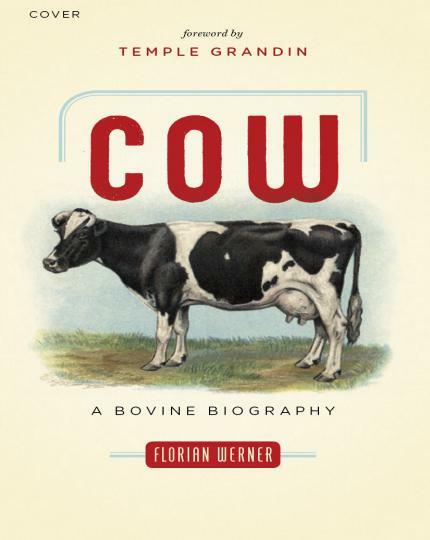 Cow: A Bovine Biography, In other mythologies the cow plays an even more prominent and active role in world creation. The ancient Egyptians, for example, believed that the heavens above were really the womb of a gigantic divine cow—one that carried the sun god, Ra, on its back and was the source of the fertile waters of the Nile. According to the pastoral African Fulbe tribe, the earth was created from a drop of milk that came from the udder of the primeval cow Itoori. Germanic mythology tells that the milk and warm tongue of a divine cow called Auðumbla ensured the survival of earth’s first inhabitants. Cows did indeed play an extraordinary role in the pre and protohistory of humankind. They supplied milk, and thus the animal protein necessary for our nutrition, and after their death they provided fuel for lamps in the form of tallow. They were able to carry significantly heavier loads than humans and helped to work the farmlands as draft animals. Their hides were used to make waterproof clothing and tent walls, their bones for tool handles and sewing needles. The domestication of cattle almost ten thousand years ago freed us from having to undertake a tiring and dangerous hunt for every meal of fresh meat.